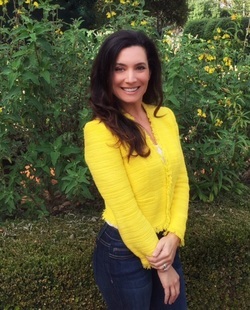 I am a Licensed Marriage & Family Therapist in the State of California. I hold a Masters of Science in Counseling from San Francisco State University and completed 3000 hours of clinical training before taking two examinations for licensure. I started off in the field of mental health and recovery in 1999. In general, my focus has been the treatment of adults and adolescents and I have extensive experience working with people from various cultural backgrounds. I have also worked in a wide variety of clinical settings including: outpatient clinics, health centers, residential homes, juvenile detention centers, community mental health, and private practice. As a therapist, my goal is to create a trusting and safe relationship with my clients. My style is collaborative in nature and I am directive in session. Specifically, I am actively involved and not just a passive listener. I often provide homework in-between sessions so that our work can continue outside of the office and that my clients can get the most out of their therapy. My style as a therapist is a blend of cognitive-behavioral and psychodynamic therapy. I am also trained in EMDR (eye movement desensitization reprocessing) which is an effective treatment for trauma/PTSD. I am passionate about the work I do and feel honored to be witness to people’s journey towards healing, growth, and happiness. My ultimate goal as a therapist is to help others connect to their true self so that they can go on to live a life that generates health and fulfillment.